The football match most of us will be betting on this week is the Euro 2020 Qualifier that's kicking-off at 7:45pm on Friday when England take on Czech Republic at Wembley Stadium. We've listed bookmakers best odds for England v Czech Republic below, a preview of the Euro 2020 Qualifier, and the betting offers you can claim if you're having a bet on the game. Check out the best odds that British Bookmakers offer for an England win (H), a win for Czech Republic (A), or a draw (D) below. Use the ALL ODDS tab to view more bookmakers odds. NB: England v Czech Republic odds correct at the time this match preview went live and are subject to change. Last updated: 05:46 on 22/03/2019. As well as bookmakers best odds, we've also listed their betting offers and price boosts that you can use when betting on the Euro 2020 Qualifier between England and Czech Republic. England v Czech Republic will be broadcast live on ITV at 7.30pm on Friday March 22nd. 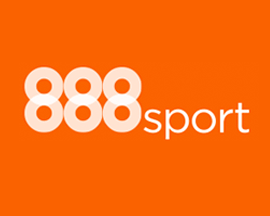 Signup as a new customer at 888sport and bet £10 on England v Czech Republic and win or lose, they'll add £30 in free bets to your account (3 x £10 free bets). 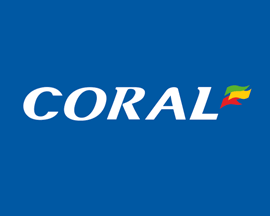 Signup as a new Coral customer and bet £5 on England v Czech Republic and win or lose, they'll credit your account with four £5 free bets giving you 4 chances to win! 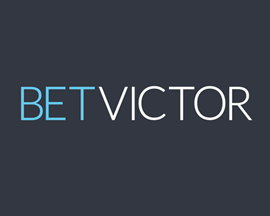 Signup at Bet Victor today and bet £5 on England v Czech Republic and win or lose, they'll credit your account with two £10 free bets and a £10 casino bonus! 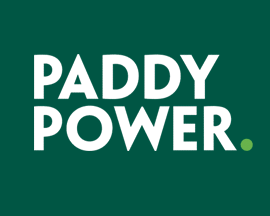 Signup with PaddyPower today and bet £20 on England v Czech Republic and if you don't win your bet, they'll refund your original £20 stake - in cash! 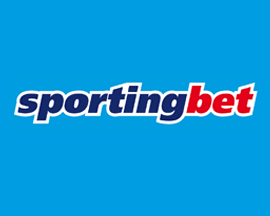 Register as a new customer at SportingBet and bet £10 on England v Czech Republic and if you don't win, they'll credit your account with a free bet worth £10. 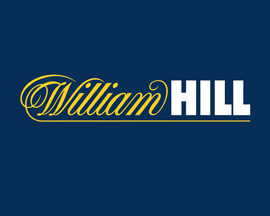 Signup as a new William Hill customer and bet £10 on England v Czech Republic and win or lose, they'll credit your account with £30 in free bets (3 x £10 free bets). England take on the Czech Republic at Wembley this Friday night in their opening fixture of the Euro 2020 Qualifiers, and although Gareth Southgate has had to make some last minute changes to his squad, you’ll find that bookmakers offer England as firm favourites to win. Czech Republic are expected to provide a reasonable challenge for England in this stage of the competition, Jaroslav Šilhavý’s side shouldn’t pose too much of a threat, and it's highly likely that England will win their opening match of Euro 2020 qualification. Although the Czech Republic are probably England’s main opponents, British Bookmakers England v Czech Republic odds seem to suggest that Gareth Southgate’s men will have no problems beating them and finishing top of Group A in the Euro 2020 qualifiers. England and the Czech Republic have only ever met on 2 occasions, and both of these fixtures were International friendlies. Their first meet was back in 1998 when England won 2-0, while the second match in 2008 ended in a draw. In the lead up to England v Czech Republic, we've taken a look at both team’s recent performances, and any player injuries that could affect either managers match preparations. England have two matches in the opening weekend of their Euro 2020 qualifiers. The first is against the Czech Republic at Wembley on Friday night, before they travel to meet Montenegro on Monday night for their second competitive match in four days. Without a doubt, Southgate’s men are one of the top contenders in the competition, and while this should be a relatively easy opening match, they can’t take anything for granted. The English squad has shown they have the ability and talent to win, but they really need to secure all the points ahead of the Montenegro clash to put themselves top of Group A.
England may have had more success in the international arena in recent years, even managing to finish in 4th place in the World Cup last summer, but they have never gotten further than the semi-finals in a European Championships. This could all change in 2020, as England are currently in good form, consistently strong and are playing much better than we have seen from them in quite some time. England have four wins and a draw in their last five, with victories over some of the top teams in World football including Spain and Croatia; the team that knocked them out of the World Cup. After their reasonable success in last years World Cup, Southgate has stuck with most of the players from that squad, alongside some younger faces to replace injured players. Unfortunately there are a few injuries for the opening match of the Euro 2020 qualification process including Jesse Lingard, Harry Winks and Joe Gomez. The withdrawal of Fabian Delph, John Stones, Ruben Loftus-Cheek and Luke Shaw on Monday was a setback for Southgate although Ward-Prowse and Hudson-Odoi will now come in. Some key players may have been ruled out for the England v Czech Republic match, but the home side shouldn't have too many concerns about losing to the Czechs on Friday. The Czech Republic have traditionally had more success sin this competition than England, winning as Czechoslovakia in 1976, and securing the Runner Up spot in 1996. However there is no way they look anywhere near as convincing as the English side of late. It will be a tough ask for them to beat England in their opening match of Euro 2020 qualification, but with a pretty easy group, they could just take 2nd place and qualify if they can beat the rest of the Group A teams in their other qualifying fixtures. Jaroslav Šilhavý’s Czech side have had a decent run, winning 3 of their last 5 matches, although none of these victories have been against higher quality sides. England are set to be their toughest opponent they will have faced in quite a while, and while they could make it through the qualifying stages, it’s highly unlikely they can beat an in form English side who'll be playing in front of a home crowd on Friday evening. The Euro 2020 Championships are set to take place from the 12th of June to the 12th of July in 2020 and, for the first time, will be staged across 12 cities in different 12 countries. England and Czech Republic have actually only played each other twice throughout history with England having the better record having won 1 of the fixtures and drawn the other. Both of the matches between England and Czech Republic were International friendlies that were played at Wembley Stadium in 1998 and then again in 2008. The first match took place on the 18th of November with England winning the match 2-0 thanks to goals from domestic rivals Darren Anderton on 22 minutes and Paul Merson in the 40th. Glenn Hoddle was the England manager for the match which played out in front of 38,535 fans. The only other match featuring England and Czech Republic took place on the 20th of August in 2008 with Fabio Capello in charge of the 2-2 draw in front of a crowd of 69,738. The Czech Republic took the lead in the 22nd minute through Milan Baros before Wes Brown scored an equaliser for England on the stroke of half-time. Marek Jankulovski quickly restored Czech Republic's lead in the 48th minute before a dramatic late goal from Joe Cole in the 90th minute ensured that England didn't lose. Looking at the last 5 fixtures that England have played in all competitions, they've won 4, drawn 1, and lost 0 scoring a total of 9 goals (1.8 goals per game) and conceding just 3 goals. Czech Republic's record over their last 5 matches is won 3, drawn 0 and lost 2. They've scored less goals than England, 5 in total (1 goal per game) but conceded more (7 in total).